The Mark II also adds a variety of upgraded features including face detection AF, MP4 recording, additional frame rates when recording in AVCHD and slow & fast motion options when recording in MP4. 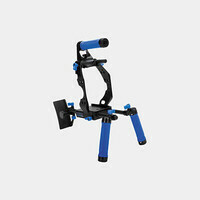 The Mark II also has an additional microphone on the camera body for recording sound when the top handle is removed. 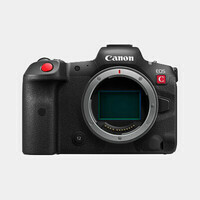 It incorporates a 3.5" OLED display with increased resolution, and the EVF is now almost twice as large as on the original C100 and tilts as well. 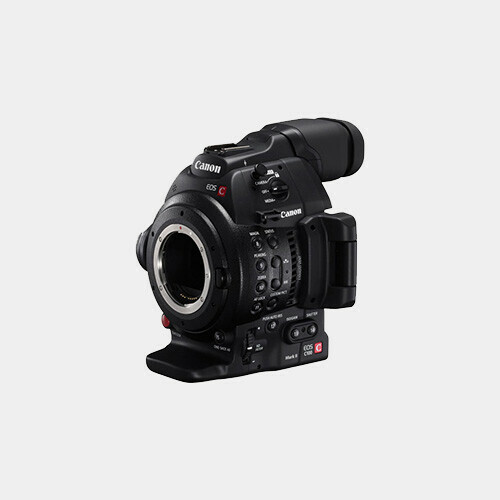 The EOS C100 Mark II uses the same Super 35mm Canon CMOS sensor as its big brother, the C300, but uses a Digic DV 4 processor. With an EF lens mount, the camera is compatible with the full range of Canon EF, EF-S, and EF Cinema lenses. The camera uses the AVCHD codec to record 1080p video up to 24 Mbps. It supports dual SD/SDHC/SDXC memory cards which, thanks to the efficient AVCHD codec, allows you to record nearly three hours of HD video on a single 32GB card. Note: Continuous AF is available when an EF/EF-S lens (except manual focus lenses) is attached to the camcorder. Face AF is available only with compatible STM lenses.